Accurate, timely and economical appraisals on single engine through turbo prop aircraft for individuals, companies, banks and government agencies since 1987. An appraisal can be a valuable tool when selling your aircraft, a professional’s impartial opinion to justify or confirm your asking price. For the buyer, an appraisal is very useful in negotiating a purchase price. Banks and finance companies should have an appraisal on every aircraft that they fund, thereby substantiating their loans. If you are donating an aircraft to a charitable organization, I meet the IRS requirements for “Qualified Appraiser” per IRS Publication 561. I personally inspect an aircraft and its records and provide a comprehensive written market value and condition appraisal. This includes an NTSB and FAA database search for accident/incidents and records search for damage repair. The appraisal also includes recent comparable aircraft for sale. 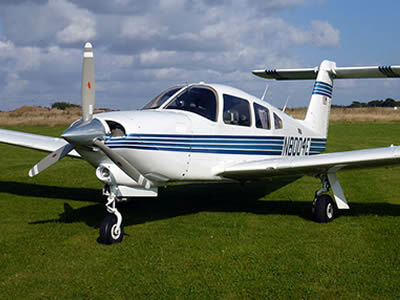 The time required to complete an appraisal and the appraisal fee depends on the aircraft location and type of aircraft. There are no state or federal statutes or institutions that govern aircraft appraisers nor any licensing requirements; and there are no officially sanctioned organizations that oversee, license or certify aircraft appraisers.